The persecution faced by Jews in Europe during the invasions of Hitler’s Nazi regime is well documented throughout the developed world. However, the resistance Jews posed to the impending threat of a Nazi invasion on domestic soil isn’t as well known. 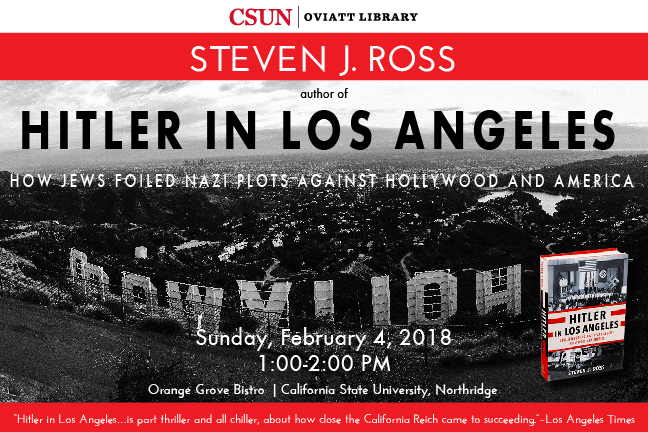 University of Southern California professor of history Steven J. Ross will speak on this topic when he discusses his newly released book, “Hitler in Los Angeles: How Jews Foiled Nazi Plots Against Hollywood and America,” from 1 to 2 p.m. on Sunday, Feb. 4, at California State University, Northridge in the Orange Grove Bistro, located at the corner of Nordhoff Street and Zelzah Avenue. In his book, which has made the Los Angeles Times bestseller list for four consecutive weeks, Ross tells the true, little-known story of the rise of Nazism in Los Angeles and the Jewish leaders and spies recruited to stop it. In a New York Times interview, Ross offered some compelling reasons for readers to pick up a copy of his book. A frequent visitor to CSUN, Ross used the Delmart T. Oviatt Library’s Special Collections and Archives, drawing heavily on the archives of the Jewish Federation Council of Greater Los Angeles Community Relations Committee (CRC) in his research. The archival collection documents the CRC’s efforts to combat prejudice and educate the public, providing a wealth of documentation regarding the Jewish community’s fight against prejudice. 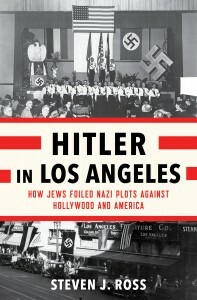 Ross also details in his book how Nazis planned to seize control of the Hollywood propaganda machine, with plots to kill the city’s Jews and undermine the nation’s military. In a recent Smithsonian interview, Ross said researching his book has changed how he thinks about resistance. “They stopped this without ever firing a gun, without ever using a weapon. They used the most powerful weapon of all — their brains,” he said. 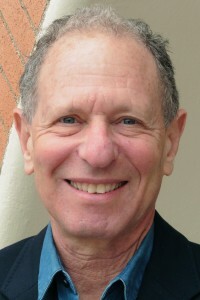 Ross, also the director of the Casden Institute for the Study of the Jewish Role in American Life, is an expert on Hollywood and politics, working class history, and depictions of unions and radicals in American film. Ross also is the author of “Hollywood Left and Right: How Movie Stars Shaped American Politics” (2011), which won an Academy of Motion Pictures Film Scholars Award and a Pulitzer Prize nomination. For more information and to RSVP, visit https://library.csun.edu/events/steven-ross. There is no cost to attend this event, and copies of Ross’ book will be available for purchase. Persons with disabilities needing assistance may email library.event@csun.edu or call (818) 677-2638 in advance for arrangements. For directions and parking details, please visit http://www.csun.edu/parking/visitor-parking-information.